RUSH: I’m gonna tell you another thing here. Comey is trying to act like this dossier doesn’t matter. That was his whole attitude. “Well, the details don’t matter. It’s not that big a deal.” Comey’s trying to act like this Christopher Steele guy was somebody not well known. James Comey’s FBI offered to pay Christopher Steele another $50,000 to continue his work in getting the FISA warrant! 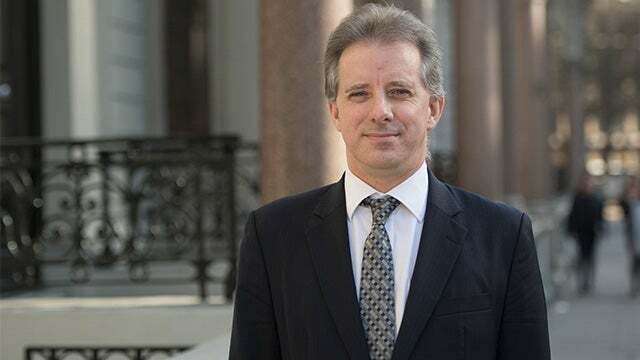 The FISA judge was told that the FBI trusted totally the credibility of Steele, that they loved this guy, that they believed what he produced, that he was extremely valuable. And then Steele broke an agreement with ’em. Steele promised the FBI he would not discuss any of his work for them with the media, but he blew it, and Steele started talking to the media about the work he was doing for the FBI. So the FBI/Comey rescinded that $50,000 offer to Steele to keep working, and they cut him loose. And all of this was in the Washington Post. So you’re telling me it never occurred to anybody at the FBI to ask Steele who’d been paying him, even though they were gonna use this info to get a FISA warrant? They knew who paid him! They knew it was the Clinton campaign. They knew all of this. Comey’s effort is to make it look like, “It doesn’t matter now; we’re so far past this.” Let me tell you why it matters. This entire year and a half investigation — this entire special counsel of a year — is bogus, folks, and it’s destroying this country. It’s ripping this country apart, and half of the people believe the lies. Forty percent of the people in this country are believing every line of every lie being told by these people. It’s creating partisan divides like we haven’t had since the Civil War. It is doing great, great damage to the very fabric of this country because so many people believe a bunch of stuff that has not happened, that didn’t happen. The Russians did not determine the outcome of our election, but you can’t convince 35, 40% of the country of that. They are convinced. They believe it. We are blowing up our system of law. The rule of law is under direct assault, it’s disintegrating — and all because of a phony, fake dossier that everybody involved knew was phony and fake. The special counsel should never have been named. Michael Flynn should still have his house. His life should not be in tatters. He shouldn’t have to sacrifice everything he’s learned in order to keep his family together and stay out of jail. All of this and more is entirely unnecessary, and is only happening because a bunch of egghead, arrogant establishment types don’t like the fact that Donald Trump won the election. 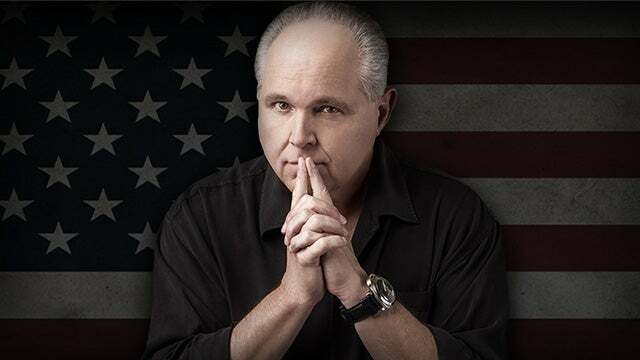 RUSH: Say, folks, there’s a bit of a bombshell — maybe a miniature bombshell — that I just came across that adds even more to the Comey, CNN, Clapper dossier story and how it became public. It is from the House Intelligence Committee report that was just released, which totally exonerates Trump of any collusion with Russia. It was just released today, and some nuggets have been found in this. And it does provide a little bit of contradiction for what Comey’s out there saying about when he briefed Trump on the dossier because CNN was on the verge of reporting it. How did he know that? It turns out James Clapper — who was Obama’s Director of National Intelligence. James Clapper is the source of the dossier being leaked to CNN. Clapper did this, according to the committee report, after ordering Comey to brief Trump on it. The House Intelligence Committee report says that James Clapper, who tries to pass himself off as nonpartisan and uninterested. He just wants to take care of the United States against its bad guys by sifting through all the intelligence. Apparently, Clapper is who provided the Steele dossier to CNN after ordering Comey to brief Trump on the dossier. Remember Comey said he briefed Trump on it because he had heard that CNN had it and that CNN was gonna be running it! And he needed to tell Trump to warn Trump. Well, it turns out the whole thing was a staged scenario, and Trump is the victim. Comey didn’t go up to Trump with any good intentions. He wasn’t saying, “Mr. President, I gotta warn you. There’s something out there. I hear CNN’s got it. It’s gonna be… I gotta tell you about it.” He was sent there by Clapper. Clapper ordered Comey to brief Trump on it because Clapper had made it available to CNN. That is how Comey knew that CNN was about to run with it, giving him the imprimatur to warn Trump about it. So yet more evidence from the House Intel Committee report here of the essential conspiracy involving these establishment types against Donald Trump.